It’s not the luck of the Irish that’ll help you hit all your St. Patrick’s Day parties this weekend with ease – it’s Lyft. Friday: 67. Partly cloudy. 0% chance of rain. Saturday: 64. 30% chance of isolated thunderstorms. Sunday: 66. Partly cloudy. 20% chance of rain. Paddy Fest at Rí Rá: Celebrate the holiday with live music, drink specials, Rugby matches, recovery brunches and more. Friday through Sunday. Free. Details. St. Patty’s at The Pump House: Enjoy live music on the roof, green beers giveaways and special food created by Executive Chef Michael Griswold. Free. Friday through Sunday. Details. 3rd Annual St. Patrick’s Weekend Extravaganza at The Broken Spoke: The infamous inflatable Irish Pub will return for its third year along with a Paddy’s Pregame on Friday and plenty of Guinness, whiskey and food on Saturday. Free. Details. Mortimer’s Great Eight Year Anniversary at Mortimer’s Cafe and Pub: To celebrate their 8th birthday, they’ll be celebrating with a St. Patrick’s-themed party with live music, drink specials, games and giveaways. 11-2 a.m. Free. Details. Saint Pat’s Pre Party at The Unknown Brewing Company: Specials include $3 Pregame and Venture Stout, and $4 Teleporter. Stick around for 2 live music acts. 3-10 p.m. Free. Details. St. Paddy’s in the Plaza at Whiskey Warehouse: In addition to themed beer, they’ll also have March Madness contests, local vendors and live music on-site. 21+ only. 5 p.m.-2 a.m. Free. Details. Shamrock Slam at Tommy’s Pub: They’ll have four live bands and plenty of Tullamore Dew to go around. 9 p.m. Free. Details. NoDa Light Rail Grand Opening at Novel NoDa: Celebrate the light rail’s extension into NoDa all day long with free coffee and pastries, a ribbon cutting ceremony, celebrity appearances and more. 10 a.m.-10 p.m. Free. Details. Blue Blaze Brat Lunch at JJ Red Hot’s Dilworth: Snack on the brewery’s 2018 Brew Dog creation, the Trail Fix, a brat marinated in Altbier and beer mustard, served in a pretzel bun and topped with fig jam, coconut and almond flakes and sunflower seeds. 12:30-1:30 p.m. Details. Blakeney Wine Walk at Blakeney Shopping Center: This inaugural event, in partnership with the Kay Yow Cancer Fund, features exclusive promotions and samples of various red, white and sparkling wine selections at select Blakeney retailers. Proceeds benefit the Fund. 5-8 p.m. $25 donation. Details. Beer Release: Queen of the Sea at Bold Missy Brewery: The beer, a medium-bodied deep copper ale with caramel and biscuit, will make it debut Friday. 5-10 p.m. Free. Details. Light Rail Extension Food Truck Celebration at Sycamore Brewing: Enjoy a night of live music, craft beer, wine, cider and food trucks. 5-11 p.m. Free. Details. Heart of the Home Kitchen Tour throughout Charlotte: The 4th Annual Kitchen Tour is a 6 home, self-guided tour featuring the latest in kitchen design, tastings by local chefs, youth orchestra performers and more. This event benefits the Charlotte Symphony and youth music education. Friday (6-9 p.m.) and Saturday (10 a.m.-4 p.m.). $25-$30. Details. Science on the Rocks: Roaring 20s at Discovery Place Science: Grab your giggle water for this adventure back in time to the colorful era of mobsters, flappers and moonshine for this adults-only night at the Museum. Expect Vaportini samples, a make-your-own flapper headband, an Al Capone Laser Shootout, prizes for best costume and more. 5-9 p.m. $10-$12. Details. St. Puppies Day FUNdraiser at Lucky Dog Bark & Brew: The bar has teamed up with Family Additional Dog Rescue of Charlotte and the Tipsy Paintbrush for a paint your pup night. A portion of the proceeds from this event will benefit FADRC. 21+ only. 5-10 p.m. Free to hang, $45 to paint. Details. The Most Incredible Thing at Knight Theater: See Javier de Frutos and the Pet Shop Boys’ show, a pop ballet version of the Hans Christian Andersen fable, make its American debut. Friday through Sunday. $15-85. Details. Opening Reception at Jerald Melberg Gallery: Take in a retrospective exhibition of paintings and pastels by Wolf Kahn in honor of his 90th birthday. 6-8 p.m. Free. Details. Charlotte Tent Sale at Dover Saddlery: Save on season closeouts, one-of-a-kind items, new releases and more. 9 a.m.-8 p.m. Friday, Saturday (9 a.m.-8 p.m.) and Sunday (11 a.m.-4 p.m.). Details. Couture for a Cause at Mint Museum Uptown: Come join the city’s most fashionable denizens for a couture runway experience benefitting Autism Charlotte. 6:30-10:30 p.m. $125+. Details. Madness in March Basketball Viewing Party at Whisky River: Don’t miss a single game on the 35+ TVs and projector screens. 12-8:30 p.m. Free. Details. Annual St. Pat’s Day Bash! at Bar Louie: Expect $4 green beer, plenty of whiskey, live entertainment and more starting bright and early. 8 a.m.-11:59 p.m. Free. Details. Paddy’s Day Party at The Rogue: They’ll have face painting, Irish dancing, traditional music, festive food and drink specials all day long. 8 a.m.-2 a.m. Free. Details. St. Patty’s Day Social at NoDa Company Store: Enjoy a glass of sangria and live music. 9 a.m. Free. Details. Kennedy’s for a (St. Patty’s) Day at Caswell Station: They’ll have live music, festive food, lawn games, NCAA games on the TVs and more. 9-2 a.m. Free. Details. Shamrock’n The Village at Blackfinn Ameripub Ballantyne: Start the holiday with Burn & Brew Bootcamp with OrangeTheory Fitness, refuel with a Kegs & Eggs Irish Breakfast and then really start the holiday with a party with live music. 9-2 a.m. $0-$15. Details. St Pat’s Brunch at TILT: This free brunch will include eggs, bacon, biscuits and more, plus themed drinks for purchase. 10 a.m. Free. Details. Green River Revival at The US National Whitewater Center: The festival is back for its 9th year with a Color Me Green 5K Trail Run, live music and a chance to see the whitewater channel turn green at 1 p.m. sharp. 10 a.m.-5 p.m. Free. Details. 2018 Charlotte St. Patrick’s Day Parade & Festival in Uptown Charlotte: Take in 135+ marching units, followed by a festival with Irish music and dancers, vendors, food and more. 10 a.m.-6 p.m. Free. Details. St. Patrick’s Day Bash at NoDa Brewing Company: The beer won’t be green, but the cups will turn when they’re filled up. 10 a.m.-10 p.m. Free. Details. ShamRocks & Shenanigans at Sugar Creek Brewing: Enjoy live music, $4 stout specials and a costume contest. 11 a.m.-11 p.m. Free. Details. 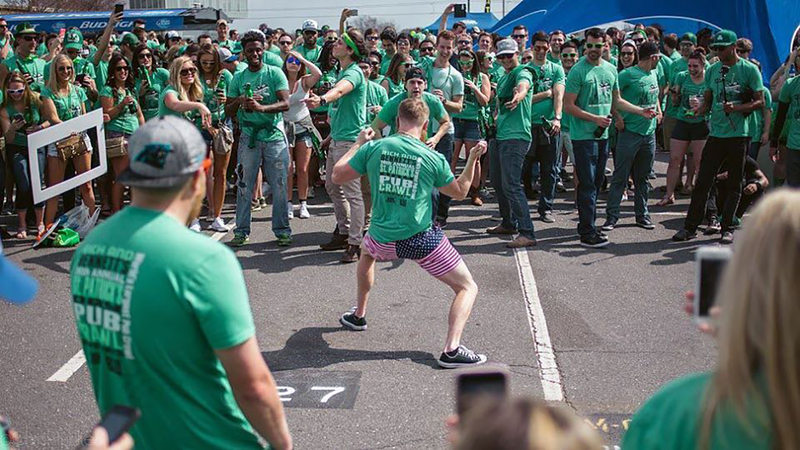 St. Paddy’s Day WOD and Pub Crawl at CrossFit Mecklenburg: Earn your drinks with a partner workout before you make your way to 4 pubs in a custom t-shirt and try your luck in the raffle. 11 a.m. $30. Details. St. Patrick’s Day in LoSo at Olde Mecklenburg Brewery: Join Lower South End and Olde Meck for festive music, beer and a special menu. 11 a.m.-11 p.m. Free. Details. 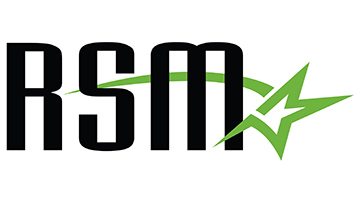 St. Patrick’s Day All Day Music at Tin Roof Charlotte: If you need a reliable music stop during the crawl, plan to hang out here all day, as they’ve got 6+ acts lined up. 11 a.m.-11:59 p.m. Free. Details. St. Patty’s Day Celebration at The Casual Pint: Mix and mingle with a Leprechaun, hope for the best in a gold coin drawing and pair your free corned beef and cabbage with some green beer. 11 a.m.-11:59 p.m. Free. Details. St. Patrick’s Day Bash at Wild Wing Café: Expect drink specials starting at $2, live music and lawn games like corn hole. 11-1:30 a.m. Free. Details. St. Patrick’s Day Celebration at Carolina Ale House Waverly: Stop by for traditional Irish fare like potato soup and corned beef and cabbage, plus Guinness, Jameson and more to wash it all down. 11-2 a.m. Free. Details. Official St. Patrick’s Day Celebration at Hickory Tavern Ballantyne: They’ll have a brunch buffet with both festive and classic drinks, plus a party with a photo booth, live music, games and more. 11-2 a.m. Free. Details. Rich & Bennett’s 18th Annual St. Patrick’s Day Pub Crawl in Uptown: Since 2001, this famous pub crawl has grown in size and popularity to make it the World’s Largest Pub Crawl with participants traveling from near and far to celebrate. With your pub crawl ticket, you receive free entry to over 30+ bars, an event koozie, event t-shirt, free giveaways and all day drink specials. 12 p.m. $20-$25. Details. St. Patty’s Day Bash at Hickory Tavern Steelecroft: Play a round of corn hole, listen to live music and a DJ, and enjoy drinks from local beer vendors and enter to win prizes and giveaways. Don’t skip the food or beer tubs, either. 12 p.m. Details. Kiss 95.1 Shamrock Jam at Queen Park Social: Celebrate with food, drink and live music. 12-10 p.m. $20-$30. Details. St. Pat’s Day: Return of the Emerald Curtain at Red Clay Ciderworks: Enjoy a glass of the all-natural, green-inspired cider with kiwi, cucumber and lime notes. 12-11 p.m. Free. Details. St. Patrick’s Day Celebration at Sycamore Brewing: They’ll have live music in the beer garden and specials on pitchers all day. 12-11 p.m. Free. Details. St. Paddy’s Day Party at Carolina Beer Temple at Ayrsley: They’ll have four Irish beers on tap, a raffle and free festive t-shirts. 12-11:59 p.m. Free. Details. St. Patrick’s Day Party at Tilted Kilt: Partake in corn hole and beer pong tournaments outside and enjoy green beer, corned beef and cabbage specials, live music and drink specials inside. Drink specials include $5 Guinness Stout, $7 Paddy Bomb or Belfast Boom Shots and $4 Jameson Shots. 12 p.m.-12 a.m. Free. Details. St. Patrick’s Green Beer Day at Bulldog Beer and Wine: Celebrate with green beer at both locations. 12:30-11:59 p.m. Free. Details. St. Patrick’s Day Beer Releases at Thirsty Nomad Brewing: Try a new Irish beer and get your hands on old favorites, as well as traditional food. 1-4 p.m. Free. Details. St Patrick’s Day Oyster Roast at Lucky’s Bar and Arcade and Flight: Sneak away from all of the crawls to catch your breath with an all you can eat oyster feast on the back patio. 1-5 p.m. $23. Details. St. Patrick’s Day Pawty at Dog Bar: Celebrate with food, drink specials, adoptable Great Danes and more. Tickets include entrance, a drink and a raffle ticket. 1-5 p.m. $5. Details. Saint Patrick’s Day at The Brass Tap South End: Enjoy live music and drink specials that start at $4. 8-11 p.m. Free. Details. If You Don’t Know, Know You Know Release at NoDa Brewing: Stop by for a supremely limited release of the New England-style 6% IPA (350 4-packs total). 10 a.m.-10 p.m. Free. Details. Mixology with Bob Peters at Earl’s Grocery: Learn all of Bob’s Irish whiskey secrets. 2:30-3:30 p.m. Details. Taste of the Mint at Mint Museum Uptown: Experience a curator-led tour of the exhibition A Different Kind of Modern: American Scene Painting: 1933-1955 with Dr. Jon Stuhlman and follow it up with 3 small plate tastings with wine pairings. 3:30-5:30 p.m. $45. Details. Why Not! Empowerment Seminar 2018 at Rowe Arts Building at UNC Charlotte: This year’s empowerment seminar will discuss how to develop a ‘why not’ attitude with a panel of guest speakers. 11 a.m.-2 p.m. $18. Details. AfroPop! Charlotte: The Bantu Experience at Harvey B. Gantt Center for African-American Arts + Culture: Shop 20+ vendors and take in fashion shows, artist gallery, dance and music instruction and more. Stick around for the afterparty. 5 p.m.-1:30 a.m. $10-$30. Details. Mardi Gras Gala at Founders Hall: Help “unmask Lupus” at this festive gala complete with a casino, live music, authentic cuisine and much more. 7 p.m.-12 a.m. $175. Details. Day in the Life: Histotechnology at Discovery Place Science: As part of the 2018 Day in the Life Series, join professionals from Carolinas HealthCare System and meet some local histotechnologists, the scientists who prepare thin slices of tissue for microscopic examination. 9 a.m.-5 p.m. Included in admission. Details. Loose Leaves Showcase at Duke Energy Theater at Spirit Square: Experience the city’s diverse and unexpected dance works by local Charlotte choreographers. 7:30-9:30 p.m. $12. Details. Grand Opening at NoDa Flea: Shop artwork, custom furniture, natural skin and hair products and more and grab a bite from the on-site food truck food truck. 8 a.m.-4 p.m. Free. Details. Community Pop Up Market at Sardis Marketplace: Shop bargains both inside and out while enjoying live music and food. 10 a.m.-4 p.m. Free. Details. Racing 4 Rescues at McAlpine Creek Park: This animal-friendly 5K seeks to raise money for Piedmont Animal Rescue, Rescue Ranch and The Spay and Neuter Clinic of Charlotte. Registration includes a t-shirt and the chance to win cash prizes. 9 a.m. $30. Details. St. Patrick’s Day Treasure Hunt at McDowell Nature Preserve: Follow the Leprechaun’s clues through the woods to find the hidden treasure on this self-guided hunt. 10 a.m.-4 p.m. Free. Details. St. Patty’s Day Story Time & Craft at SAS Cupcakes Blakeney: Kids can come listen to a St. Patrick’s Day story before decorating cupcakes and making a craft. Registration required. 10:30-11:15 a.m. $6. Details. Swarmfest at United Community School: Enjoy a family-friendly day filled with an inflatable zip line, escape rooms, crafts, food and more. Bring a package of facial tissues to donate to the local Ronald McDonald House and get 3 free game tickets. 12-3 p.m. Donation-based. Details. Leaping Leprechauns! at Reedy Creek Park and Nature Center: If your child can catch one, it may just help find wildlife. Drop-in event, ages 6+. Registration required. 1-3 p.m. Free. Details. Sherlock Gnomes Scavenger Hunt at 2nd & Charles: Celebrate the new movie by finding all the gnomes that have been scattered throughout the store. All participants in the scavenger hunt will receive a prize. 2-4 p.m. Free. Details. Shamrock 4 Miler presented by Novant Health at StoneCrest Shopping Center: Get in a quick 4-mile run through South Charlotte before you start your celebrating. Proceeds benefit RunningWorks. 8-10 a.m. $35. Details. The 5K Foam Fest at Hodges Family Farm: Try your luck on 22+ obstacles, including the world’s largest inflatable waterslide, mud pits and 2.5 million cubic feet of foam. Stick around when you’re done for music, a kids zone, food, drink and vendors. 8 a.m.-4 p.m. $40-$65. Details. Workout Party at Charlotte Running Company of Northlake: Jumpstart your day with a free Camp Gladiator workout. BYO mat. 9 a.m. Free. Details. 30/30 Boot Camp & Yoga at Free Range Brewing: Get the best of both workout worlds with a 30-minute boot camp followed by a 30-minute yoga practice. 11 a.m.-12 p.m. Free. Details. St. Patrick’s Day Bootcamp at Lenny Boy Brewing Co.: Come decked out in green for a workout with SweatNET ambassadors and a chance at prizes. 12-1 p.m. $14. Details. College Baseball at Robert and Mariam Hayes Stadium: Come support the 49ers as they take face the FIU Panthers. 2-5 p.m. $5-$10. Details. Hockey at Bojangles’ Coliseum: Cheer on the Checkers as they take on the Binghamton Devils. 6 p.m. $18-$88. Details. Spring Meet in the Park at Colonel J. Francis Beatty Park: Enjoy hot dogs, drinks and conversation with other local and regional car aficionados 11 a.m.-4 p.m. Free. Details. Ales and Tails Brew Tour: Birdsong Brewing at Birdsong Brewing: Hang out with The Urban Feed Store and their rescue partner, North Mecklenburg Animal Rescue, for an afternoon of shopping, relaxing with puppies and more. 1-5 p.m. Free. Details. Lenny Boy Beer Dinner at Fern, Flavors From The Garden: Experience a healthy and flavorful 5-course menu, each course specially paired with a kombucha or beer. 5:30-8:30 p.m. $65. Details. Stone Table Dinner at Catawba Brewing Company: Join Chef Matthew Sganga of Stone Table for 5 specially-paired courses using the best ingredients available from local farmers and artisans. Proceeds benefit The Arc of Union/Cabarrus. 21+ only. 6-9 p.m. $75. Details. Sip and See Bridal Show at Crown Plaza Charlotte Executive Park: Enjoy a glass of champagne, hotel tour, ceremony and reception setup for inspiration and sit down with a handful of the city’s best vendors. 1-4 p.m. Free in advance. Details. Meditation Time at Charlotte Family Yoga Center: Learn the art of meditation in this guided 30-minute session. 9:30-10 a.m. Free in advance. Details. Charlotte National College Fair at The Park Expo and Conference Center: Meet one-on-one with admission representatives from across the country and the world. 12-4 p.m. Free. Details. Open House Day at the Charlotte Art League: Get a sneak peek of their new space during the Starving Artist Market. 11 a.m.-4 p.m. Free. Details. My Pen Speaks Ft. Scarlet Ra at Nest Restaurant & Lounge: Experience spoken word poetry from Charlottean Scarlet RaCome and others from throughout the Carolinas. 7-10 p.m. $5. Details. Tag Sale at Hodges Farm Wedding Barn: Shop vintage and antique collectibles, mid-century modern and retro furniture and more. 8 a.m.-4 p.m. Free. Details. Starving Artist Market at The Station House: See the new NoDa location and browse your favorite local vendors for everything you need. 11 a.m.-4 p.m. Free. Details. Crayola Bunny Visit at Hallmark Gold Crown Stores Providence Road: Bring the kids for pictures with the bunny and fun with a balloon artist. 2 p.m. Free. Details. Legion Boot Camp at Legion Brewing: Get in a 60-minute workout with Camp Gladiator. BYO mat and water. 9-10 a.m. Free. Details. Plaza Midwood Night at Bojangles’ Coliseum: The Checkers have teamed up with well-known neighborhood businesses like Pizza Peel, Legion Brewing and more for a pre-game party. 12:30-4:30 p.m. $17. Details. Hockey at Bojangles’ Coliseum: Cheer on the Checkers as they take on the Binghamton Devils. 2 p.m. $18+. Details. Bark n Brew Pup Crawl at Lucky Dog Bark & Brew Charlotte: Start at Lucky Dog and make your way to breweries like Resident Culture, Birdsong and Blue Blaze on this dog-friendly tour. April 8. Sycamore Spring Fest at Sycamore Brewing: Say hello to warmer weather with live music, beer and cider stations, prosecco pops and more. April 14. Tuck Fest at USNWC: Enjoy 4 full days of competitions, exhibitions, demos, live music and activities like SUP yoga, obstacle challenges and more. April 19-22.